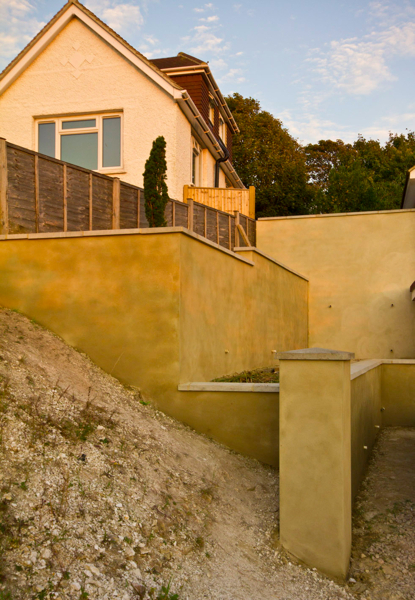 Our specialist technicians have the expertise necessary to effectively treat the problem of wall tie failure. 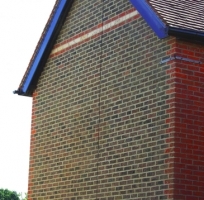 how to identify cavity wall tie failure. Cavity wall tie corrosion is a common cause for cavity wall tie replacement needing to be carried out. It is the term used when the cavity wall ties bedded in a property with a cavity wall construction, corrode due to the breakdown of their protective coating. 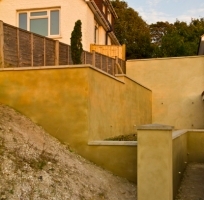 Wall tie corrosion can seriously damage external walls and could, in some cases, make a building unstable. Over time mortar joints, which host the wall ties, undergo a chemical change through carbonation. The mortar becomes aggressive to the base steel and its protective coatings, reducing the life expectancy of cavity tie systems to as little as 26 years. The design life of the building is typically much longer than this period and it therefore follows that at some point a remedial retrofit replacement of the brick ties may be necessary if the stability and load sharing capacity of the wall is to be maintained. Horizontal Cracks – in the mortar, usually at high level caused by expansion of wall ties. 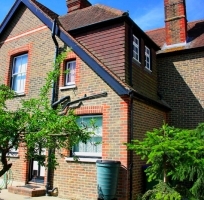 Bulging brickwork – caused by snapped wall ties, which have corroded. This can make your property unstable. If you have seen these issues in your building, it is worth considering our free cavity wall tie replacement assessment. We will carry out a thorough inspection to establish the need for remedial wall tie work. 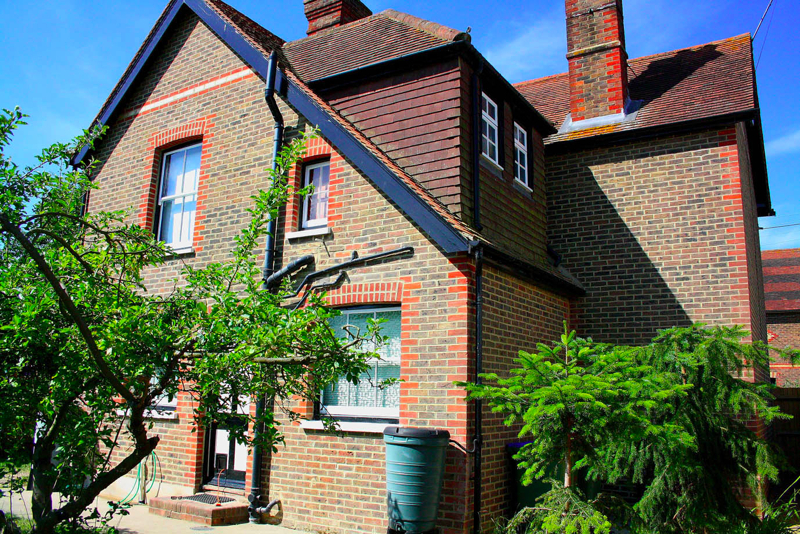 We will complete a thorough examination, inspecting random wall ties throughout the property which are causing cracks and damage to brickwork. Once the inspection has been completed we will provide a detailed report including photographic evidence and the most effective treatment for wall tie failure. Replacements for cavity wall ties. 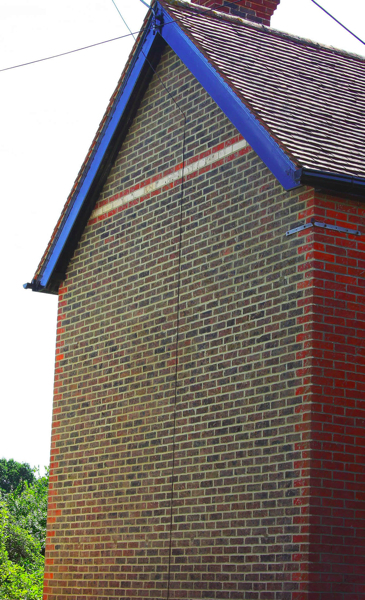 Our specialist technicians have the expertise necessary to effectively treat the problem of wall tie failure. Where any type of cavity tie failure has been established the walls should be immediately stabilised with new stainless steel remedial wall ties. Where each leaf is at least 90mm thick, installation of the remedial brick ties is undertaken at a density of 2.5 per sq. metre, tie centres measuring 900mm horizontally and 450mm vertically, in a staggered ‘domino 5′ pattern. Additional retrofit ties are installed adjacent to open reveals. 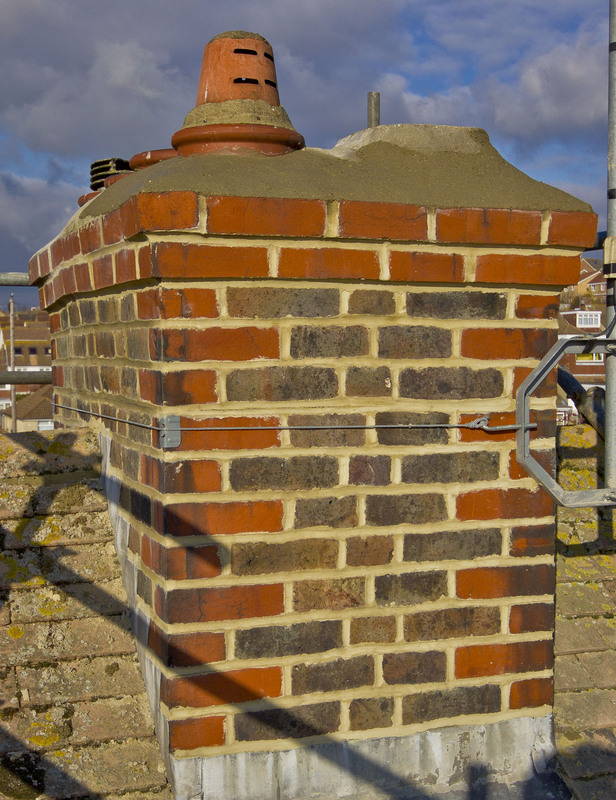 This is achieved by Drilling holes in brickwork to gain access to wall ties using the appropriate access equipment where needed. Cavity wall tie replacement to new stainless steel wall ties and isolation of existing wall ties to prevent further damage. Finally to preserve the appearance of your property we will make drilled holes good to match the existing wall appearance. Mechanical Wall Ties – An expansion type wall tie that is inserted into pre-drilled holes in masonry. Preferably these remedial cavity wall ties have radially expanding neoprene sleeves, which are sequentially tightened to form a mechanical grip connection without excessive point loadings. A setting tool is used with an electric screwdriver, to ensure rapid fixing rates. 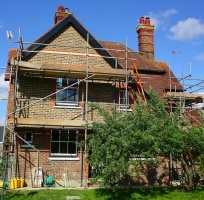 Mechanical ties are suitable for use on domestic dwellings having good quality brick walls. Helical Wall Tie – A profiled & twisted remedial wall tie that is driven into a pilot hole. Work hardened blades cut a spiral interlock into brick, block & concrete walls as the cavity ties are driven by a series of impacts. Tiny 6mm pilot holes enable extremely quick wall tie installation with minimal disruption to the facade or to cavity insulation. 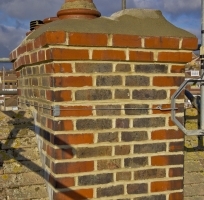 Use helical ties in all masonry types. A setting tool in a hammer drill facilitates the easiest and fastest retrofit replacement wall tie system available. Grouted Wall Ties – Remedial cavity wall ties that are pushed into resin or grout filled holes in one brick leaf before more bonding agent is pumped around the other end. The resin or grout sets around, and keys to, major deformations located at each tie end. Grouted wall ties are well suited to domestic buildings having inconsistent or suspect quality masonry. Whilst these replacement ties are the cheapest of the three, installation is more intricate, demanding more time and care. 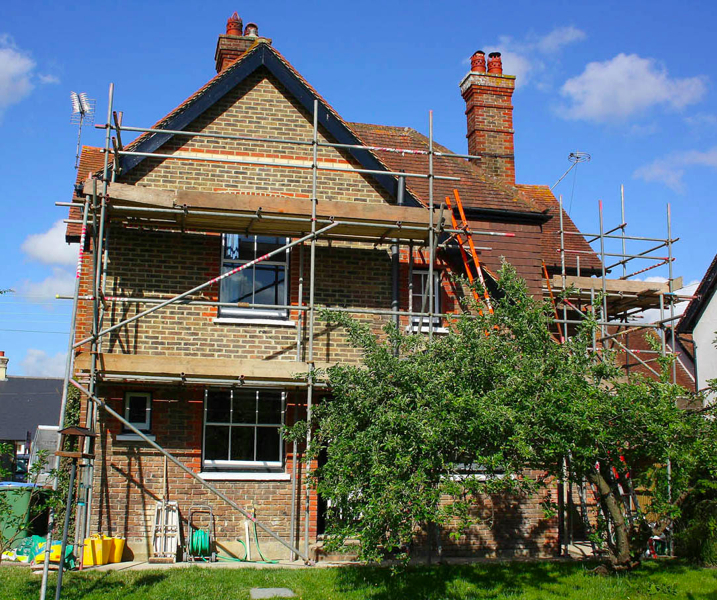 To discuss our cavity wall tie replacement services, or to request a free assessment, please contact us.